Sometimes, what you might believe is a minor inconvenience might actually be somewhat of a big deal. This is especially true when it comes to your plumbing system. Your plumbing system is much larger and much more complex than you might realize, as the majority of it is hidden behind walls and underneath floors. This is why something as ‘minuscule’ as a leaky faucet requires immediate attention. 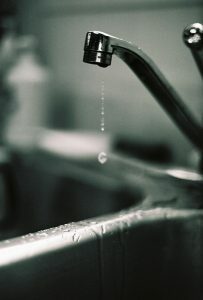 If you have found yourself dealing with a drippy faucet, don’t ignore it! 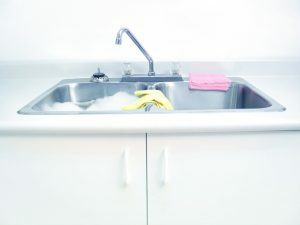 We recommend having your faucet repaired by a professional plumber in Apopka, FL ASAP — for a number of different reasons. A steady drip can easily cause serious damage to your home, property, and your wallet. Below, we have outlined just some of the many reasons why you need to hire a problem at the first sign of this problem. Posted in Plumbing | Comments Off on Don’t Ignore a Leaky Faucet! Posted in Plumbing | Comments Off on Stop! Don’t Throw That Down The Garbage Disposal!